Our primary has the current month's scripture taped to the podium so the child who was assigned to read the scripture has it right there in front of them. No more turning and reading it on the wall behind them so the rest of the primary can't hear!! You can download all of the prompts for 2018 HERE. 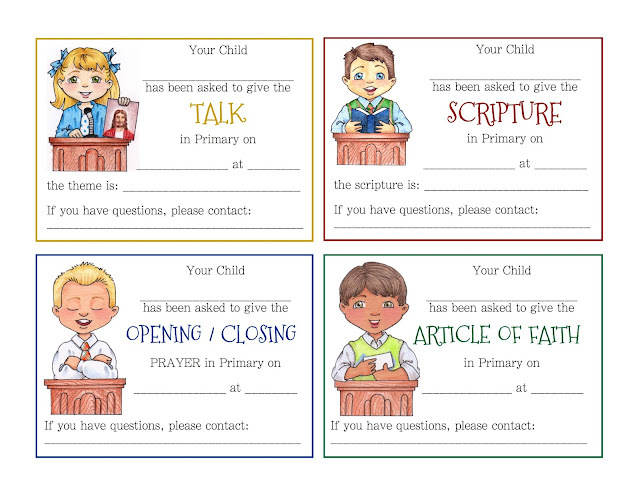 And along a similar topic...assigning the scriptures, talks, prayers, etc., a few years ago I created Assignment Cards to help in opening exercises. 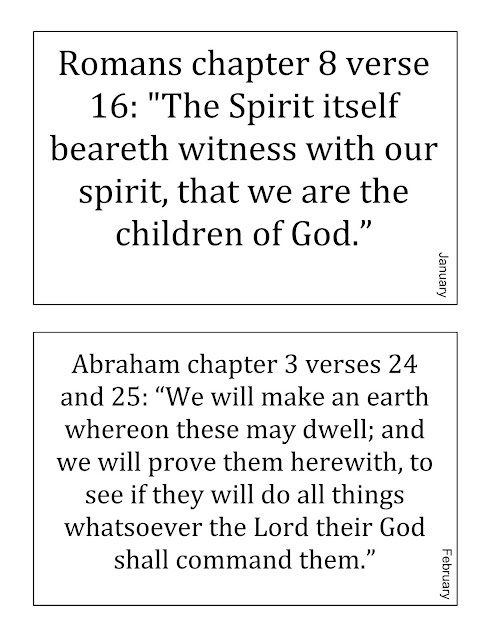 You can find details for them HERE.